When was the last time you had a professional dental clinic? Hopefully, you have not skipped too many cleanings since these can have a significant impact on your health in general. This procedure will also help you to keep your smile as bright as ever. Poor oral hygiene leads to a host of serious medical issues like bone loss, cancers, strokes, and cardiovascular disease. That is why it is important to brush your teeth twice a day and floss regularly. That goes a long way when it comes to improving your oral health. Regular brushing and flossing will not be enough and will only be effective with regular visits to the dentist at least twice a year. Not sure what all the fuss about dental cleaning is all about? There is no comparing the clean you get at home and the clean you get from a dentist using specialized tools. Layers of tartar and stains that appear to be permanent can be scraped away by your dentist. That leaves you with a whiter, brighter smile. A professional teeth cleaning promotes healthy gums since it removes the tarter that often causes gingivitis. Oral cancer is a serious issue all over the world. A person dies from it every hour in the U.S. even with potential treatment options. With an oral cancer screening, our dentist thoroughly examines your mouth every time he/she cleans your teeth. While we do not provide treatment, we can help detect signs early on to begin treatment as soon as possible. Gum disease and cardiovascular disease are strongly linked together. Since a professional cleaning twice a year helps to prevent gum disease, it also reduces the odds of you having cardiovascular issues like a heart attack or stroke. Your dentist thoroughly examines your mouth while cleaning your teeth, and that gives him/her an opportunity to detect any issues you are having. From newly developed cavities to broken fillings. As a general rule, the earlier you detect an issue with a tooth, the cheaper it is to fix it. If you have dental insurance, chances are you probably get free cleanings. If you are wondering why insurance companies do this, it is because the data is pretty clear. Regular teeth cleaning saves you and your insurance company money in the long-run. Your dentist will go over any issues he/she notices after cleaning your teeth. This is a good time to figure out how you want to deal with them. Dental cleanings make it easier for your dentist to document the progression of your teeth. That makes it easier for your dentist to intervene when issues arise. Regular cleanings will keep your teeth bright, and improve your overall health. 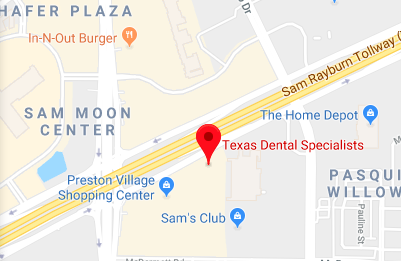 Request an appointment for a teeth cleaning in our Plano dental office here: http://www.texasdentalspecialists.com. Call us at (214) 619-6329 for more information about oral hygiene from Texas Dental Specialists.